Ferrari's love affair with motorsport goes back to the very beginning; they boast the status of F1's longest-standing team, having entered the competition in the first year of the modern era in 1950. In 2010 they surpassed 60 consecutive years in the sport. Jose Froilan Gonzalez recorded Ferrari's first ever F1 victory at the British Grand Prix in 1951, and the following year Alberto Ascari won the first of back-to-back drivers' championships for the team. It took the Maranello-based squad until 1961 to win the first of their 16 constructors' championships, when Phil Hill led the team on his way to his sole drivers' title. In 1964 John Surtees won the drivers' championship for the team; the former motorcycle world champion remains the only man to win championships on two and four wheels. The team had to wait until 1975 to win the constructors' championship again; but they retained it for the next two years. In 1979 the team won the double once more, with Jody Scheckter taking the drivers' crown. Despite hiring talented drivers such as Gilles Villeneuve, Didier Pironi and Gehard Berger, the emergance of Williams and McLaren meant the team was forced to wait 21 years for another drivers' championship, though they won the constructors' in 1982 and 1983. Michael Schumacher finally ended the constructors' drought in 1999, winning the drivers' title the following season, ushering in a period of dominance which lasted until 2004. 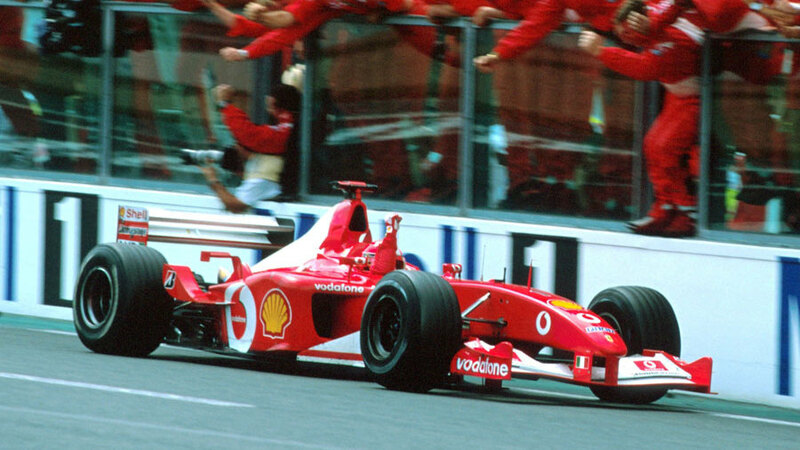 In 2005 they were only able to manage third [in the standings] after struggling to adapt to new regulations, and finished second the following season as Schumacher narrowly missed out on a fairytale end to his Ferrari career. 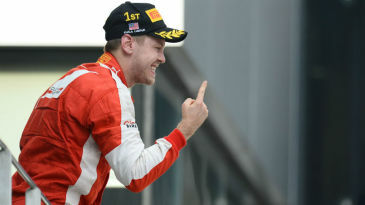 Ferrari returned to the top of the sport in 2007 as Kimi Raikkonen edged the title on the final race of the season from warring McLaren duo Fernando Alonso and Lewis Hamilton in a thrilling Brazil finale. 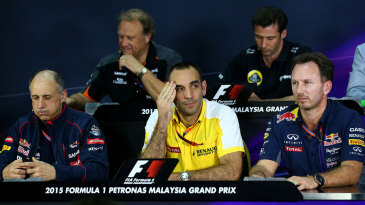 They also walked the constructors' title after McLaren were disqualified after being found guilty of possessing Ferrari data. In 2008 eight wins powered the Italian team to their 16th constructors' title beating rivals McLaren by 21 points but Felipe Massa agonisingly missed out on the drivers' title by a single point to Hamilton. The first half of the 2009 season saw Ferrari struggle against the dominance of Brawn and Red Bull, unable to score a win in the first 10 races. They didn't even score a podium finish until Raikkonen finished third in the sixth round at Monaco. Ferrari finished their 60th season in F1 in a disappointing fourth - their worst constructors' championship finish since 1993 and 1992 when they again finished fourth. 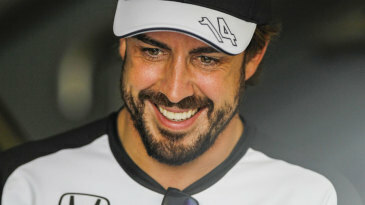 Ferrari kicked off 2010 with a new marquee signing - two-time world champion Fernando Alonso. 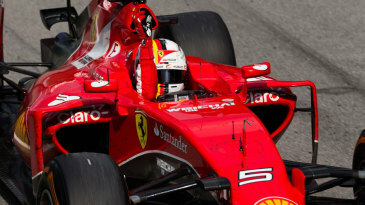 But despite the addition of the Spaniard, Ferrari are still waiting for their first title since 2007. It might have been a different story in his opening season but, after five victories in the season, a misjudged pit-stop strategy at the finale saw Alonso get stuck behind the Renault of Vitaly Petrov, while Sebastian Vettel won the race and took the title by four points. 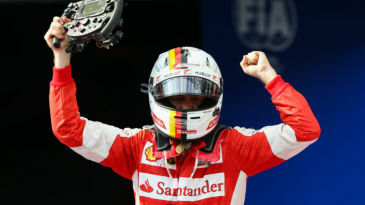 Ferrari came agonisingly close again two years later in 2012, as Alonso was once again pipped to the title on the final race of the season by Vettel, this time by three points. After finishing a distant second to Red Bull in 2013, Ferrari parted company with Felipe Massa after seven years. In his place they signed Raikkonen, the last man to win the world championship in a Ferrari, and setting up a mouth-watering partnership with Alonso for the 2014 campaign.